I just read this article and thought you might want to give it a read, too. It\'s called “Orbitz Rewards Birthday Week!” Sweepstakes – Terms and Conditions and you can find it here https://www.orbitz.com/blog/2018/10/orbitz-rewards-birthday-week-sweepstakes-terms-and-conditions/. 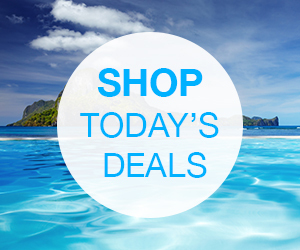 Looking to win hotel credits and other travel perks as part of our “Orbitz Rewards Birthday Week Sweepstakes”? 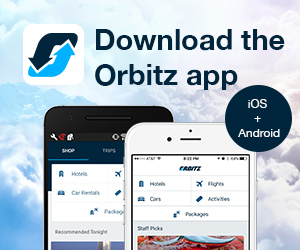 Be sure to follow @Orbitz on Instagram for five chances to win! This Promotion is in no way sponsored, endorsed or administered by, or associated with, Instagram. When you enter the Promotion, Instagram will not collect your personal information. By entering the Promotion, an Entrant agrees to release and hold harmless Instagram from any and all liability associated with this Promotion. Eligibility: The “Orbitz Rewards Birthday Week” Sweepstakes (“Sweepstakes”) is open only to legal residents of the United States who are at least eighteen (18) years old or older at the time of entry, are an Orbitz Rewards program member, have an Instagram account and who otherwise meet the requirements set out in these Official Rules. 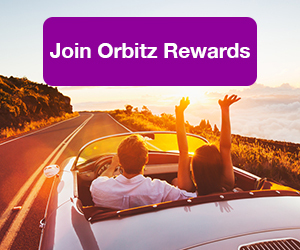 If you are not an Orbitz Rewards program member, you will need to create an account prior to a prize being awarded. Employees of Orbitz Worldwide, LLC, (“Orbitz”) and its parent companies, subsidiaries, affiliates, promotion and advertising agencies, as well as the immediate family (spouse, parents, siblings, and children) and household members of those employees are not eligible to enter. Sponsor: The Sweepstakes is sponsored by Orbitz Worldwide, LLC, 500 West Madison Street, Suite 700, Chicago, IL 60661 (“Sponsor”). Sweepstakes Period: The Sweepstakes begins at 12:01 AM Central Time (CT) on October 15, 2018 and ends at 11:59 PM CT on October 19, 2018 (the “Sweepstakes Period”). The Sweepstakes Period will include five (5) daily entry periods as outlined in the chart below (each, an “Entry Period”). Entries (defined below) submitted and received during any given Entry Period will NOT be carried over into any subsequent Entry Period(s). Sponsor’s computer is the official time-keeping device for the Sweepstakes. How to Enter: During any of the Entry Periods, visit http://Instagram.com/Orbitz and comment on the post using the hashtag #OrbitzSweepstakes in the caption and you will be entered for a chance to win. Entries will not be acknowledged. There is a limit of one (1) entry per person per entry period. 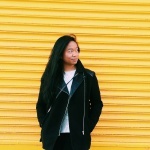 Multiple entrants are not permitted to share the same Instagram account. If you attempt to obtain more than one (1) entry by using multiple/different Instagram accounts, identities, registrations, or logins, or through any other methods, Sponsor may exclude you from participating in the Sweepstakes. When you enter, you are providing information to Sponsor. No purchase necessary. By entering on Instagram, you agree that your Entry conforms to the Submission Requirements as defined below (“Submission Requirements”) and that Sponsor, in its sole discretion, may disqualify you from the Sweepstakes if it believes that your Entry fails to conform to the Submission Requirements. Entrants must have permission from all individuals that appear in the Entry (if any) to use their name and likeness in the Submission and to grant the rights set forth herein. Submission Requirements: BY SUBMITTING AN ENTRY, YOU AGREE THAT THE POST COMPLIES WITH ALL CONDITIONS STATED IN THESE RULES. THE RELEASED PARTIES WILL BEAR NO LIABILITY WHATSOEVER REGARDING THE USE OF YOUR ENTRY OR ANY COMPONENT THEREOF. THE RELEASED PARTIES SHALL BE HELD HARMLESS BY YOU IN THE EVENT IT IS SUBSEQUENTLY DISCOVERED THAT YOU HAVE DEPARTED FROM OR NOT FULLY COMPLIED WITH ANY OF THESE RULES AND/OR THE INSTAGRAM RULES. The Sponsor reserves the right, in its sole and absolute discretion, at any time and for any reason to screen any Post(s). Any Post that the Sponsor deems, in its sole and absolute discretion, to violate the terms and conditions set forth in these Rules is subject to disqualification. The Sponsor reserves the right, in its sole and absolute discretion at any time and for any reason, to request an entrant to modify, edit and/or re-submit his or her Post in order to ensure that the Post and complies with these Rules, or for any other reason. If such an action is necessary at any point during or after the Sweepstakes, then the Sponsor reserves the right, in its sole discretion, to take whatever action it deems necessary based on the circumstances – including, without limitation, disqualifying the Post (and therefore the corresponding Entry and/or the associated entrant). Drawings: On each of the dates listed in the chart below (each, a “Draw Date”) on or about 12:00 pm CT at 500 West Madison Street, Suite 700, Chicago, IL 60661, Sponsor will conduct a random draw (each, a “Draw”) from among all eligible Entries received in connection with the corresponding Entry Period to select five (5) potential Prize (defined below) winners except for Entry Period 5 where one (1) potential Grand Prize winner will be selected. For greater certainty and the avoidance of doubt, Entries received in connection with any given Entry Period will NOT be carried over into, and will NOT be eligible for, any subsequent Entry Period(s). The odds of winning depend on the number of eligible Entries received in connection with the applicable Entry Period. Notification and Requirements of Potential Winners: Sponsor will reach out directly to potential winners via direct message on Instagram on or about the dates listed above. Potential winners will have forty-eight (48) hours from the time the direct message is sent to claim the prize. If a winner notification remains unanswered for more than forty-eight (48) hours, the prize will be forfeited in its entirety and an alternate winner will be selected. A prize winner (parent or legal guardian if potential prize winner is under the age of majority in his/her state of residence) may be requested to complete, sign and return an Affidavit of Eligibility, Publicity Release, and any other necessary documents, including required tax documents. If the Affidavit of Eligibility, Publicity Release, and any other necessary documents, including required tax documents, are not returned within five (5) calendar days after the documents are sent or if the documents are returned as undeliverable, the prize will be forfeited in its entirety and an alternate winner will be selected. A prize is not transferable; no prize substitutions or cash alternatives are allowed except as may be determined by Sponsor in its sole discretion. 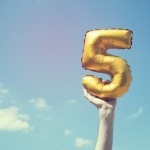 Travel companion(s) of Grand Prize winner may be required to complete, sign and return a mutually acceptable Liability Release within five (5) days of notification. Travel companion must be 18 or older, unless they are the child, ward or spouse of the winner, in which case the companion’s parent will be required to sign the necessary documents on behalf of his/her child. Except where prohibited, acceptance of a prize constitutes the winner’s (and winner’s guest’s) consent that their names, likenesses, and/or biographical data may be used for advertising and promotional purposes without limitation and without additional notice, compensation, or consent. Upon response from a winner, Sponsor will announce potential winners via posts on the @Orbitz Instagram account. For Entry Period Number 5, one (1) winner will receive a Grand Prize of a future travel credit up to $1,200 on any booking for a stand-alone flight on Orbitz.com for two (2) people, inclusive of taxes and airport related fees (luggage fees are not included). The flight will be two (2) round-trip economy class tickets booked from the airport closest to a winner’s residence to a destination city of a winner’s choice anywhere in the domestic/48 states only (subject to prize limit). The future travel credit can only be used on one (1) booking. The future travel credit is subject to certain terms and conditions as specified by issuer. The future travel credit is valid from the date of acceptance of prize (subject to availability at time of reservation) through November 1, 2019. Sponsor will work with Grand Prize winner to book their travel. The approximate retail value (“ARV”) of prizes: Grand Prize: USD$2,200 (Up to $600 per flight ($1,200 total) + $1,000 Orbucks) although the actual retail value may vary depending on the point of departure, travel itinerary, and costs of air transportation at time of award; Entry Period Number 1 Prize: $500 (5 winners x $100 promo code per person); Entry Period Number 2 Prize: $425 (5 passes x $85); Entry Period Number 3 Prize: $250 (5 passes x $50); Entry Period Number 4 Prize: $675 (5 Platinum Status upgrades x $135). Total ARV of all prizes is $4,050. The Orbucks will be deposited within six weeks after winner acceptance of Prize and will expire one year from the date of the deposit. Orbucks awarded to the winner are subject to terms and conditions of the Orbitz Rewards program (http://www.orbitz.com/info/win?id=RewardsTerms). If a winner from Entry Period Number 4 already has attained Platinum Status prior to entry into the Sweepstakes, their status will be extended for one (1) year. Flights may include connections, are subject to availability, blackout dates and additional restrictions. Any difference between the stated value and actual value will not be awarded. Grand Prize Winner and his or her guest must travel on the same itinerary and are responsible for obtaining any necessary documentation (i.e., valid visas, passports, etc.) prior to travel. Guest must be of legal age of majority in his/her jurisdiction of residence (and at least 18), unless the child or legal ward of a winner and must sign a liability/publicity release prior to the issuance of travel documents. If guest is a child or legal ward of the winner, winner must sign and return release on behalf of such child or legal ward. Travel restrictions may apply. Grand Prize winner is responsible for paying any applicable federal, provincial, state, local, income and withholding taxes, if any, and any and all other costs and expenses not listed herein as being provided, including but not limited to all ground transportation, luggage fees, hotel accommodations, meals, beverages, tours and excursions, hotel incidentals, souvenirs and gratuities. In the event that any tax withholding is required by law for a prize, winner authorizes Sponsor to make the corresponding deduction. Any prize details not specified above will be determined by Sponsor, in its sole discretion. Sponsor will not be liable for any expenses incurred as a consequence of flight cancellations or delays. Sponsor will not be liable for any airline and/or hotel fees incurred as a consequence of changing or cancelling flight and/or hotel reservations. Sponsor will not replace any lost or stolen prizes or prize components. Winner may not transfer, assign, or substitute a prize, or redeem a prize for cash, except at the sole discretion of the Sponsor, who reserves the right to substitute a prize (or portion thereof) with one of comparable or greater value. Prizes are awarded “as is” without any warranty or guarantee, either express of implied by Sponsor. General Conditions: In the event that the operation, security, or administration of the Sweepstakes is impaired in any way, including, but not limited to fraud, virus, or other technical problem, Sponsor may, in its sole discretion, either: (a) suspend the Sweepstakes to address the impairment and then resume the Sweepstakes in a manner that best conforms to the spirit of these Official Rules; or (b) award the prizes at random from among the eligible entries received up to the time of the impairment. Sponsor reserves the right in its sole discretion to disqualify any individual who tampers with the operation of the Sweepstakes, violates these Official Rules, or acts in an unsportsmanlike or disruptive manner. Sponsor reserves the right to seek damages from any person who seeks to undermine the legitimate operation of the Sweepstakes. Failure by Sponsor to enforce any term of these Official Rules shall not constitute a waiver of that provision. Proof of sending any communication to Sponsor by mail shall not be deemed proof of receipt of that communication by Sponsor. In the event of a dispute as to the owner of an entry, the authorized account holder of the email address used to enter will be deemed to be the entrant. The Sweepstakes is subject to federal, state, and local laws and regulations and is void where prohibited. Disputes: You agree that any and all disputes, claims and causes of action arising out of, or connected with, the Sweepstakes or any prize awarded shall be resolved individually, without resort to any form of class action, and exclusively by the appropriate court located in the State of Washington. All issues and questions concerning the construction, validity, interpretation and enforceability of these Official Rules, your rights and obligations, or the rights and obligations of the Sponsor in connection with the Sweepstakes, shall be governed by, and construed in accordance with, the laws of the State of Washington, without giving effect to any choice of law or conflict of law rules (whether of the State of Washington or any other jurisdiction), which would cause the application of the laws of any jurisdiction other than the State of Washington. Results: Winners will be announced on Instagram @Orbitz the day following the Draw Date. To request a complete winners’ list, send a self-addressed, stamped envelope to “Orbitz Rewards Birthday Week Sweepstakes Winner List,” Orbitz, LLC, 500 West Madison Street, Suite 700, Chicago, IL 60661. Requests must be received within four (4) weeks after the end of the sweepstakes.